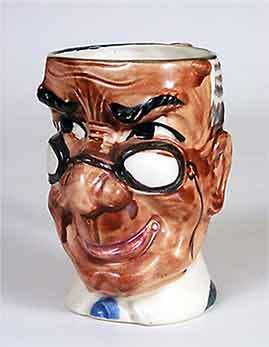 Character mug - 5" (127 mm) high. Who is this? At least one of us here thinks it looks like Heinz Wolf, but this chap has the look of a barrister.